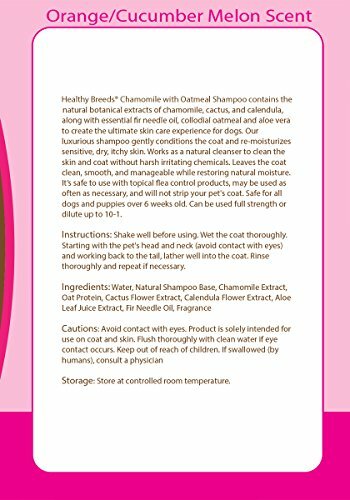 Healthy Breeds Chamomile with Oatmeal Shampoo contains the natural botanical extracts of chamomile, cactus, and calendula along with essential fir needle oil, colloidal oatmeal and aloe vera to create the ultimate skin care experience for your dog. Our luxurious shampoo gently conditions the coat and re-moisturizes sensitive, dry, itchy skin. 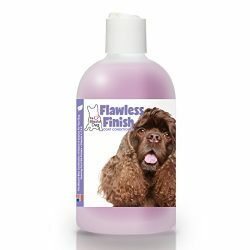 Works as a natural cleanser to clean the skin and coat without harsh, irritating chemicals. 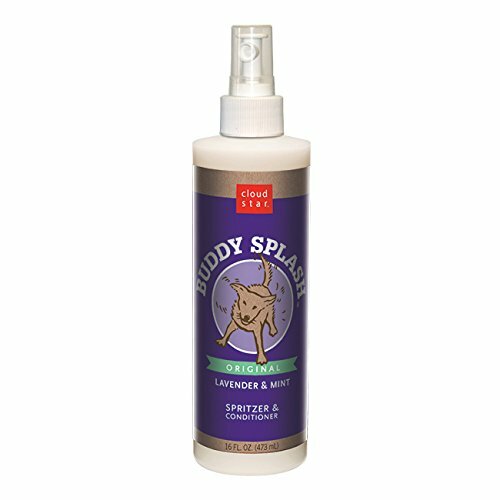 Leaves the coat clean, smooth, and manageable while restoring natural moisture. 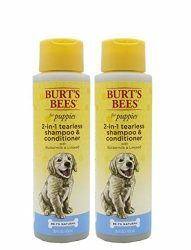 It’s safe to use with topical flea control products, may be used as often as necessary, and will not strip you pet’s coat. 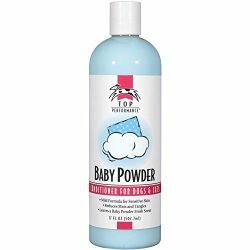 Safe for all dogs over 6 weeks old. 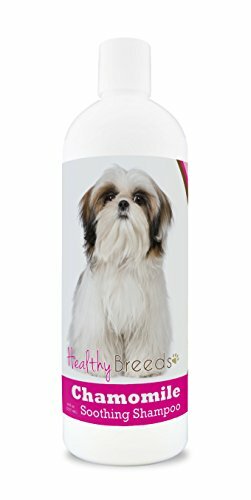 Can be used full strength or dilute up to 10-1.Healthy Breeds Chamomile with Oatmeal Shampoo contains the natural botanical extracts of chamomile, cactus, calendula, fir needle oil, colloidal oatmeal and aloe vera.